Call in the coast guard rescue unit and get to the stranded diver! Race to the harbor with the 4x4 Response Unit. Launch the coast guard rescue craft into the water after checking your gear, then scan the waves to find the stranded diver and his dinghy. There he is on the buoy! The dinghy is on fire, and what's that hanging onto the side?! 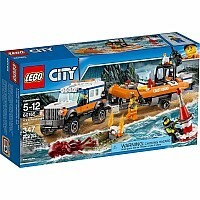 It's another exciting day with the crew of the LEGO City coast guard! 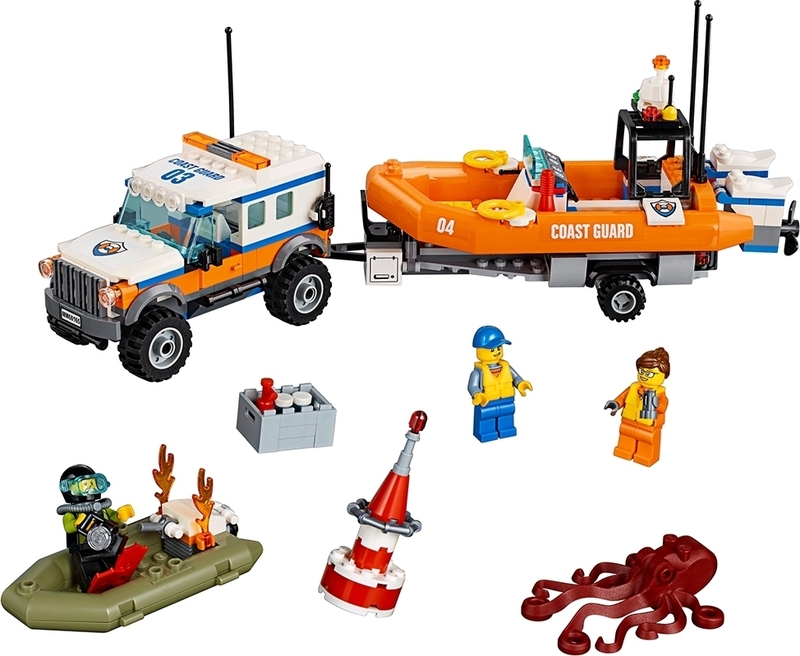 Includes 3 minifigures: a captain/driver, female coast guard member and a diver, plus an octopus figure. 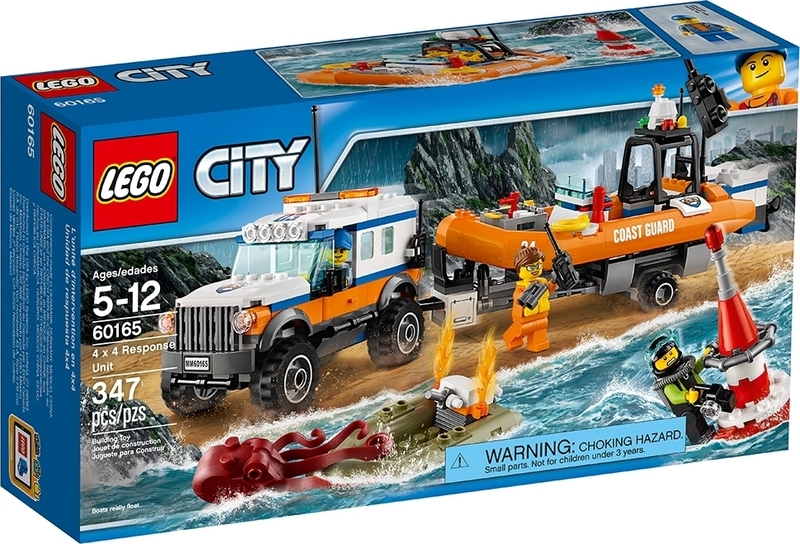 Features a 4x4 truck with minifigure cab, radio antenna, opening rear compartment for tools and gear, and a detachable trailer for the rescue craft with a toolbox, 2 radio antennas and drop-down engines with spinning propellers. Also includes a small diver's dinghy with engine and a buildable buoy. 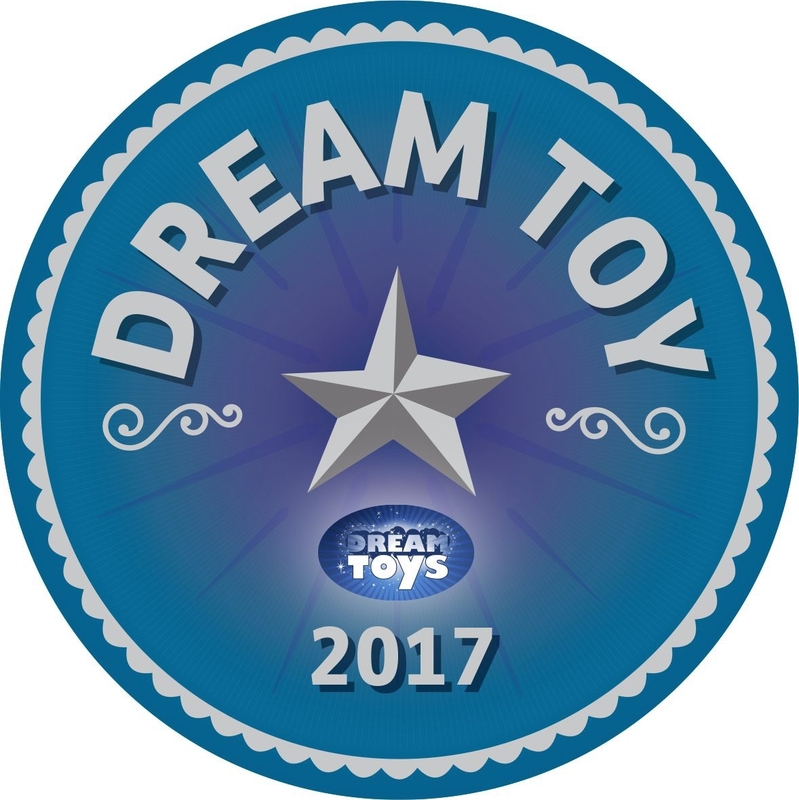 Rescue craft and dinghy float! Hitch the trailer to the 4x4 truck and head off ona rescue call. Grab the fire extinguisher and put out the fire. Rescue the diver before the octopus grabs him! Accessory elements include 2 life preservers, 2 fire elements, 2 walkie-talkies, camera, binoculars, box, megaphone, 2 bottles, 2 life vests, dive mask, flippers and a fire extinguisher. 4x4 truck measures over 4" (11cm) high, 4" (12cm) long and 2" (6cm) wide. Trailer measures over 1" (5cm) high, 7" (18cm) long and 2" (7cm) wide. Rescue craft measures over 3" (10cm) h igh, 7" (19cm) long and 2" (7cm) wide. Diver's dinghy measures over 1" (4cm) high, 3" (9cm) long and 1" (5cm) wide. Octopus figure measures over 2" (6cm) long, 1" (5cm) wide and under 1" (2cm) high. Buoy measures over 3" (8cm) high, 1" (3cm) wide and 1" (3cm) deep. Measures approximately: 13.94 x 7.52 x 3.58 inches..